Silver City Aluminum also works a lot in the area of extruding materials for our clients in the area of lighting. Currently, LED lighting and track lighting continue to be the most widely requested types of lighting materials that we are asked to produce. Track Lighting – We specialize in making custom aluminum tracks for just about any type of fixture. At Silver City Aluminum, our abilities to create a truly custom product and conform to our client’s specific lighting fixture needs, helps us to make just about anything you might need. 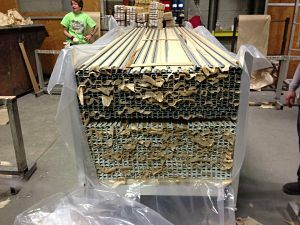 Our motto with regard to custom aluminum tracks is: if you can imagine it, we can make it. 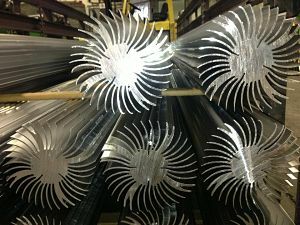 Heat Sinks – When it comes to producing materials for the lighting industry at Silver City Aluminum, LED lighting has become a huge part of the market. In addition to producing materials for LED lighting, we also specialize in building custom heat sink profiles that can accommodate any design.